Groups of 4 or 3 works. 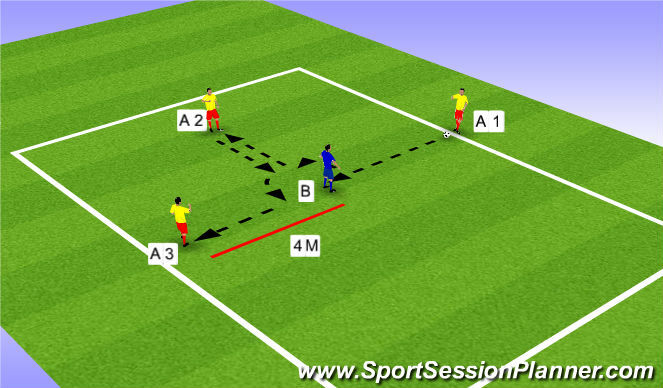 1 group occupies the outside of a 10x10m zone. 2 groups in the middle. One a defending team, the other an attacking team. 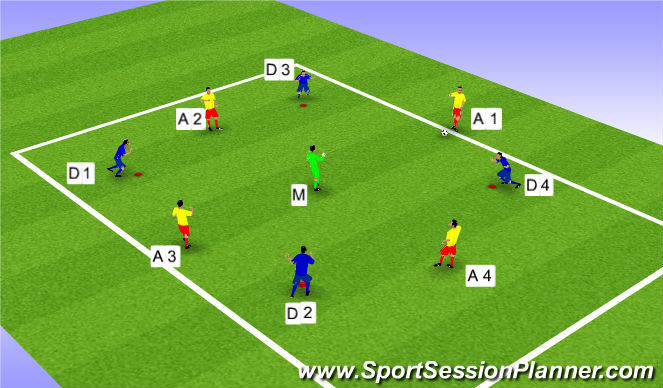 The attacking team must receive the ball from an outside player and look to get it to a different outside player. They may pass to one of their team mates inside the area but only score when they get the ball to the outside player without the defending team getting the ball.